As protesters at both Tahrir Square and in Suez prepare for escalation in the upcoming two days, the government is in a race against time to finalize decisions and decrees that will satisfy the public and meet protester demands. The protesters at Tahrir Square are calling for a million man protest and general strike on Tuesday. Today there will be a rally heading from the working class Boulaq el Dakrour district in Giza to Tahrir Square. There will also be a rally from the State Council court building, led by workers of privatized companies, which will head to the square later this afternoon. These are the first among many marches planned by the protesters and the popular committees to defend the revolution aimed at gaining support for the sit-in and convincing more people to join. According to Ahmed Ezzat, the spokesman of the popular committees, the group and the protesters agreed that the protests should start from the areas of the people who would benefit most from fulfilled revolutionary demands. Protests and sit-ins are still on in Suez especially after clashes between the protesters and the military police at Ain Sokhna. 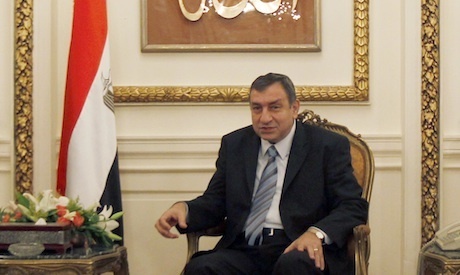 For the first time, Prime Minister Essam Sharaf promised "massive" changes and reforms with a timeline yesterday. According to Sharaf’s promise to the revolutionary youth who met with him on Sunday, not less than 1,400 police officers, including police generals and majors, will be laid off by 15 July, including those accused of shooting the protesters. A reshuffle will include not less one third of the cabinet by 17 July and radical changes will be made in the state owned media. Whether in radio, television or newspapers, these changes will be applied and new leaderships for major, state owned media organizations will be appointed by 30 July. The PM also promised that a new governor’s reshuffle will be announced by the end of July. Sharaf promised the protesters’ delegation that if he fails to achieve this timeline he will resign from his position. PM Sharaf is currently a holding a meeting with his cabinet.